- Available for all clothing categories. 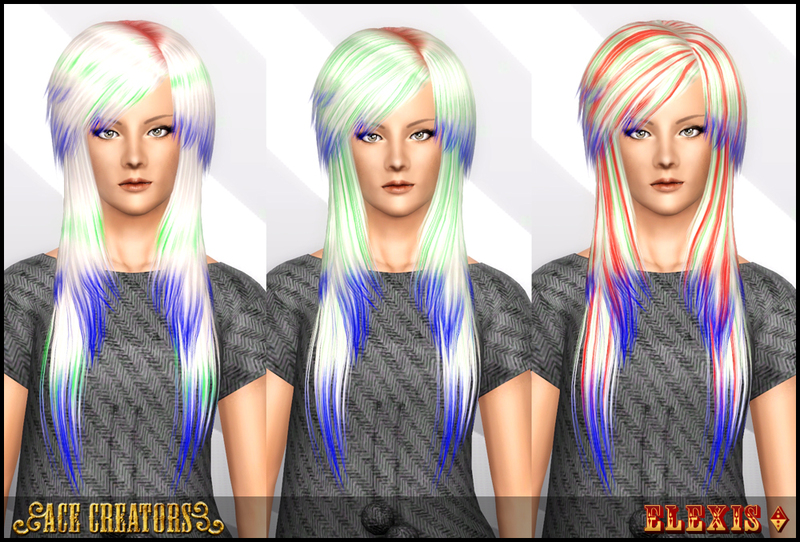 - 3 highlights versions: EA, Adjust-Shine and Streaked. - 2 length versions: Long and Chopped. 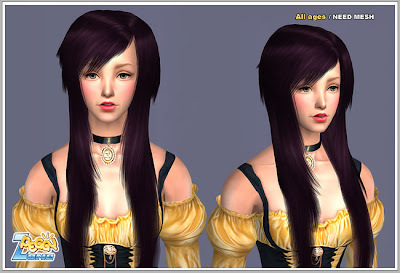 - Long version is 8996 polygons and chopped version is 8628 polygons for HQ. Lower LOD's are significantly smaller. that is just awesome!! Thank you sooo much!! most beuatiful hair so far! thanx! Everything you make goes into my game without question. You did a faantastic job on this. And thank you for taking the time to provide so many highlight styles and the two lengths!! <3 You are amazing! Thank you, Elexis, for your a big effort on this hard work. I absolutely loved this hair in Sims2 and forgot all about it! 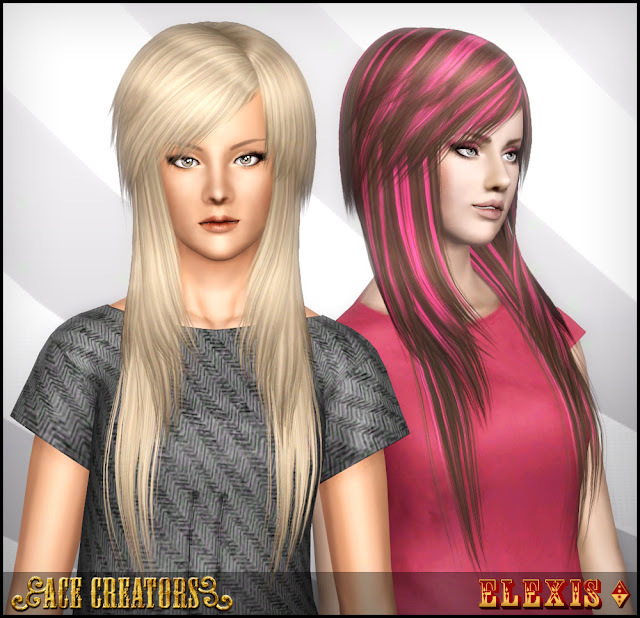 Thanks for bringing it to The Sims3! Thanks for the hair. It looks really great! Wow!!!!!!! Amazing hair, beautiful, really lovely. Thank you!!!!!!! OMYGOD YAY! This is awesome awesome awesome! And I agree with the above comments! You put so much work into converting this mesh and I'm glad you even attempted it! ◕‿◕ ♥ Much love and appreciation to you and all those who helped you get this done! 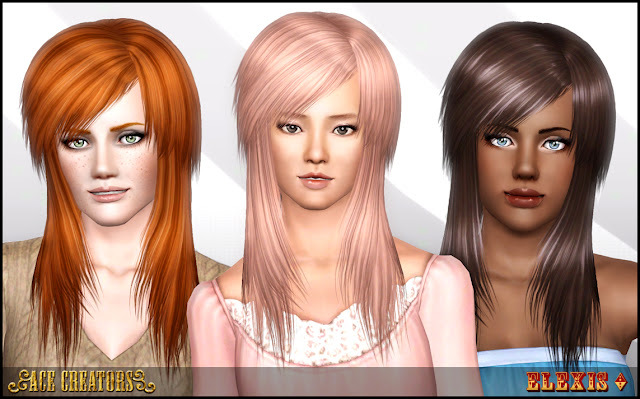 PERFECT FOR MY SIMSELF OMFG if only we could do two-toned hair.. 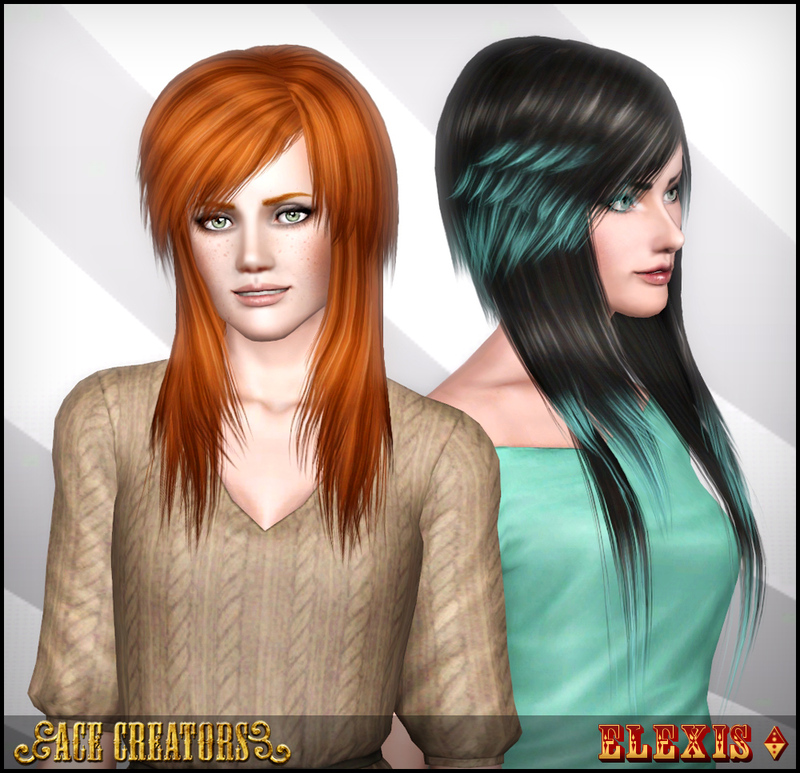 This hair is lovely, and I would love to download but for some reason adfly isn't bringing up the download.. it just says Please Wait in the corner and won't move on... Is this normal? Thank you so much for sharing! I have and enjoy all of your creations. How i upload? Is it free? for all downloads mediafire please!!! !